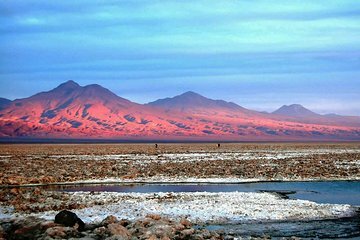 Take a tour of the world’s driest desert, Atacama, and visit a number of natural landmarks on a full-day tour. See the resident flamingo population, explore the small desert village of Toconao, and visit the altiplanic lagoons for a well-rounded look at the flora and fauna of the region. Round-trip hotel transfers from San Pedro de Atacama and lunch are included.